Dean L arry Holben is the appointed clergyperson who presides over meetings of the Superior Deanery in the Northern California Diocese. In addition to his duties throughout the deanery, The Very Rev. 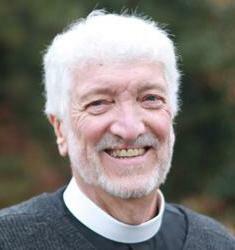 Holben serves the congregation of St. Barnabas Episcopal Church in Mt. Shasta, California. Bishop Beisn er is the chief pastor for the Diocese of Northern California Diocese. He is responsible for ensuring that the faith proclaimed in parishes is the faith of the church. Bishops have the special office to ordain priests and deacons, and together with other bishops to ordain or consecrate other bishops. They are also the chief ministers in the rite of Confirmation, although the Prayer Book encourages bishops to act out their overall pastoral role by performing Baptisms and celebrating the Eucharist when they do Confirmations. Bishops are required to visit all the parishes and missions in their diocese at regular intervals. They also preside at diocesan conventions and have administrative responsibility for diocesan activities. Each diocese has a diocesan bishop, elected by that diocese meeting in convention to be the chief liturgical and administrative officer of the diocese. The official title of a bishop is The Right Reverend. For more information about Episcopal Church terms and definitions go to the Terminology tab on this website. 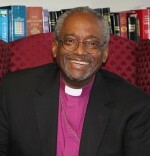 Bishop Curry is the Presiding Bishop and Primate, as well as the Chief Administrative Officer of the Episcopal Church. He was elected by the House of Bishops and confirmed by the House of Deputies at the 78th General Convenion of the Church on June 15, 2015. He was installed at Washington National Cathedral on November 1, 2015. His nine-year term will expire on All Saints Day, November 1, 2024. Read the Presiding Bishop's Biography at this link. View photographs of the Presiding Bishop's Installation at Washington National Cathedral.